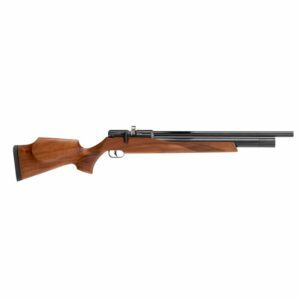 The Streamline Synthetic 5.5mm Laminate airgun from FX is a new concept that shows FX moving back to deliver a classic hunting rifle look that many airgunners desire. 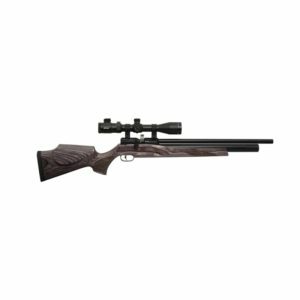 The Streamline Synthetic 5.5mm Laminate airgun from FX is a new concept that shows FX moving back to deliver a classic hunting rifle look that many airgunners desire. And with standard features like an internal regular delivering 60 shots per fill (in .22 cal), there’s a lot to be excited about with the Streamline. 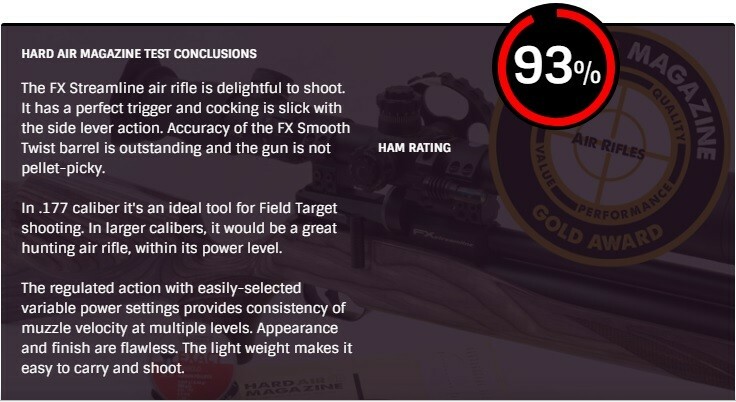 Giving extreme high end accuracy and function at a lower price point then has ever been found with all of these features. The FX Streamline Laminate is the créme de la créme when it comes to stocks. This Italian made Menilli beautiful black-pepper laminate stock screams high end and is a joy to hold as much as it is to look at. 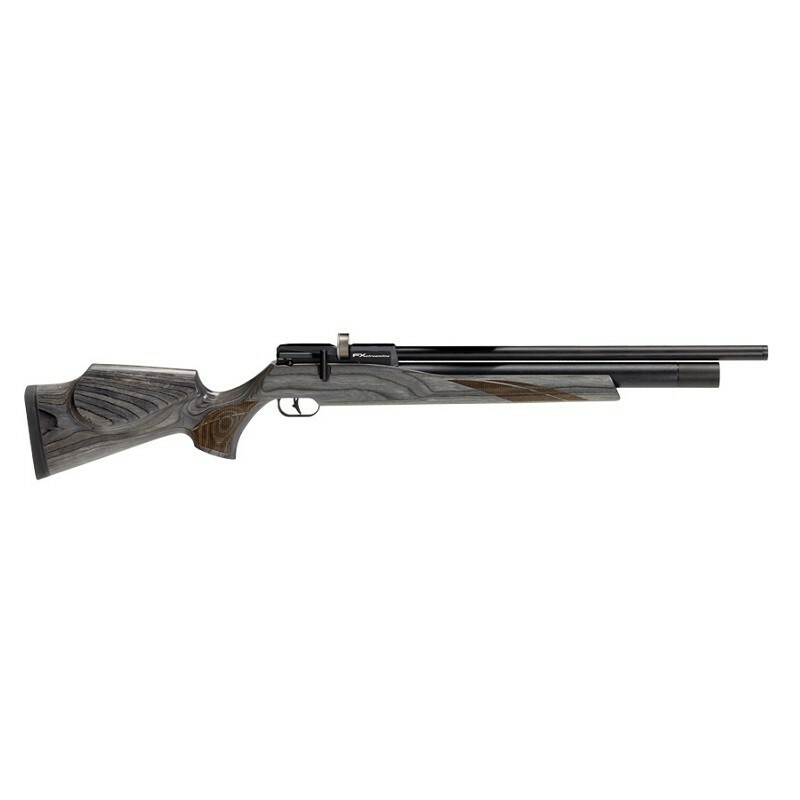 The rest of the rifle is made out of high grade aluminum that has been coated with a special finger print resistant finish that we thoroughly appreciate. The barrel is completely shrouded to reduce the sound. If you desire further sound reduction, additional moderator sections can be purchased and added to your gun easily. The breech of the Streamline is a completely new design by FX that integrates the air cylinder seamlessly into the breech. This one piece breech/cylinder removes connecting pieces that would have added weight as well as cost to the rifle. The side lever is a shorter more compact side lever than previous models, but is still buttery smooth and a joy to shoot. The lever cycles the included rotary mag. Note that this mag is slightly smaller than standard FX magazines that allows for the use of medium rings when mounting the scope of your choice. The trigger is as always one of the best triggers found on the market. The trigger is fully adjustable but should break right around 17oz from the factory. The FX Streamline is a straight forward rifle, full of high-end features, but at an unbelievably accessible price point that should ensure its placement on most airgunners wish list for years to come.